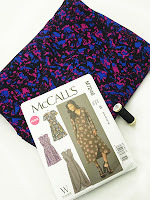 Fabric Mart Fabricistas: Fit-Along Contest Announcement! Although, the Fabric Mart Fit-Along is over, I can't help but keep thinking about it! I have personally referred back to the videos as reminders of what was done to my body so that I can use them when fitting other sewing patterns. How about you? 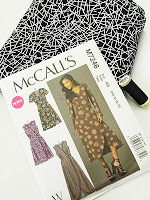 Did you follow along as you fit the pattern on yourself? Did you use them as reference on how to look for particular fit issues on your body? If you are only learning about the Fit-Along, or didn't have time to be part of it in February, we still have fabric kits available in both ponte/double knits and challis prints. The fabric kits come with fabric, thread to match, McCall 7246 pattern and fitting order sheets to record all your alterations. 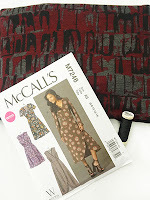 These exclusive fabrics were hand-picked by Melissa and myself just for the fit-along. They are perfect for the wrap dress. 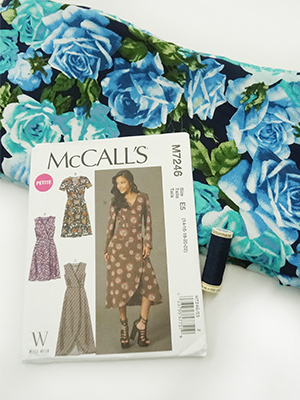 Contest #1: Purchase one of the fit-along kits between April 11 and April 30th, and be entered into a drawing for sewing prizes! Winner will be picked at random. Contest ends April 30th, 2016. One entry per person. If you order more than one kit, you will NOT have that number of entries. You will have one entry only. A winner will be selected on May 2nd. 2) Fit for Real People Book by Pati Palmer and Marta Alto ($30 value) & $20 Gift Certificate to Fabric Mart. 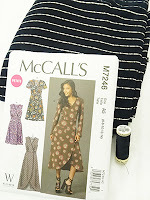 Contest #2: Finish those wrap dresses! Submit a photo of your finished McCall 7246, wrap dress to fabricmartblog@gmail.com and you will be entered to win a $50 gift certificate for Fabric Mart! No need to have purchased the fabric from us. Just submit your photo, that's it! 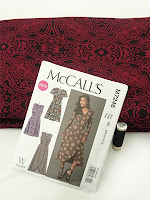 Of course we would love to see fabric from the fit-along kits or any other FM fabric, but not required. 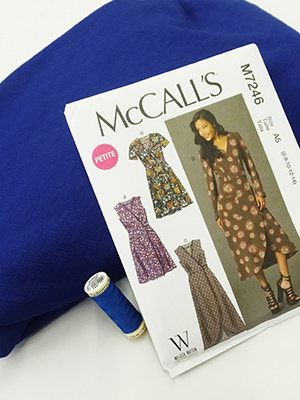 Share with us what alterations you made too. Entries must be emailed by April 30th, 2016.A winner will be selected on May 2nd. Here are two of my wrap dresses. Melissa sewed the red one for the videos. I sewed the splatter print one afterwards. 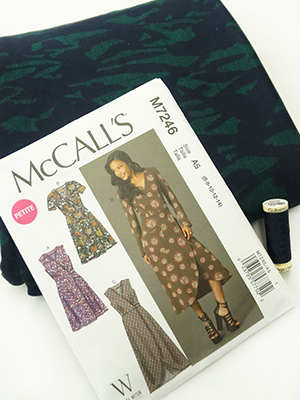 I can't wait to see all of your finished wrap dresses. Let's get a conversation started! 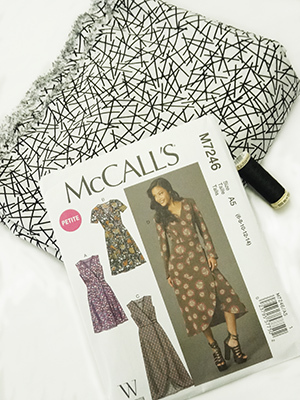 Comment below about any alteration questions you have, what you thought of the fit-along and anything else in regards to the fit-along and pattern fitting. Very pretty dresses on these two! I was SO SURPRISED to find Melissa's fitting video here! I told all my friends about it on my Youtube channel and in my blog. All were excited. 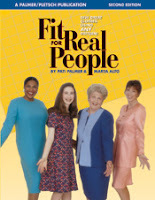 I learned to fit with that Fit for Real People book, and I LOVE P&P -- especially, Marta. I used to play her videos over and over while I sewed.